EDINBURG — A lawsuit against the La Joya Housing Authority filed by former interim Executive Director Frances Salinas was dismissed Tuesday after a judge determined that Salinas lacked a valid contract with the housing authority. The ruling, made by Judge Albert Garcia of County Court at Law No. 6, came after a hearing Tuesday afternoon during which Timothy Daniels, the attorney representing the housing authority, argued that a contract for Salinas was never properly executed by its board of commissioners. He called acting Executive Director Cristi LaJeunesse to the witness stand, where she testified that she could find no record of a properly executed contract for Salinas. What she was able to find was a draft of a contract that was never signed and was not approved by the board, LaJeunesse said. One reason for that, LaJeunesse said, is because Salinas is the daughter of Mayor Jose “Fito” Salinas, who is tasked with appointing the board members of the housing authority. That conflict of interest necessitated a request for a waiver from the U.S. Department of Housing and Urban Development so that Salinas could still serve as the executive director despite her direct relationship with the mayor. That request, however, was rejected and HUD later notified the housing authority that Salinas could not be paid with federal funds. “There could be no financial gain for her or arrangement through the housing authority,” LaJeunesse said. However, it appears there may have been some arrangement for Salinas to receive payment through a nonprofit corporation that never came to be. Minutes were found of a June board meeting, before the denial letter from HUD was received, that indicated Salinas would be paid $1,500 a month through the nonprofit, which would have been a subsidiary of the housing authority. Housing authorities typically form nonprofits as a way to “further affordable housing in our communities,” LaJeunesse said after her testimony. “It gives an option to partner with tax credit developers and other entities that might be interested in building more affordable housing in our area,” she said. 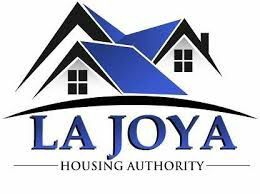 The process of creating the nonprofit for the La Joya Housing Authority began earlier this year with paperwork drawn up in June, according to LaJeunesse. However, not all the paperwork was filed with the state, a meeting was never conducted, directors weren’t elected, officers weren’t appointed, and by-laws were never approved. Maricruz Sifuentes, the board chair, testified that she was not previously aware of that agreement to pay Salinas through the nonprofit and said that Salinas never presented meeting minutes for board approval. Dennis Ramirez, Salinas’ attorney, argued that even if the housing authority couldn’t currently locate a valid contract for Salinas, there could possibly be a contract out there that could surface during the discovery process of the case. Judge Garcia, however, sided with the housing authority and said that even if Salinas did have a contract, it would have been invalid given that HUD denied the waiver and prohibited her from receiving payment. “There’s no valid contract. There was a draft that attempted to get a contract in place, which was never done, and even if it would’ve been done…it wouldn’t have been a valid contract,” Garcia said. The judge further ordered Salinas to pay the housing authority $20,000 in attorney’s fees. After the hearing, Ramirez said he and Salinas were disappointed in the judge’s decision but respected the decision and the process.